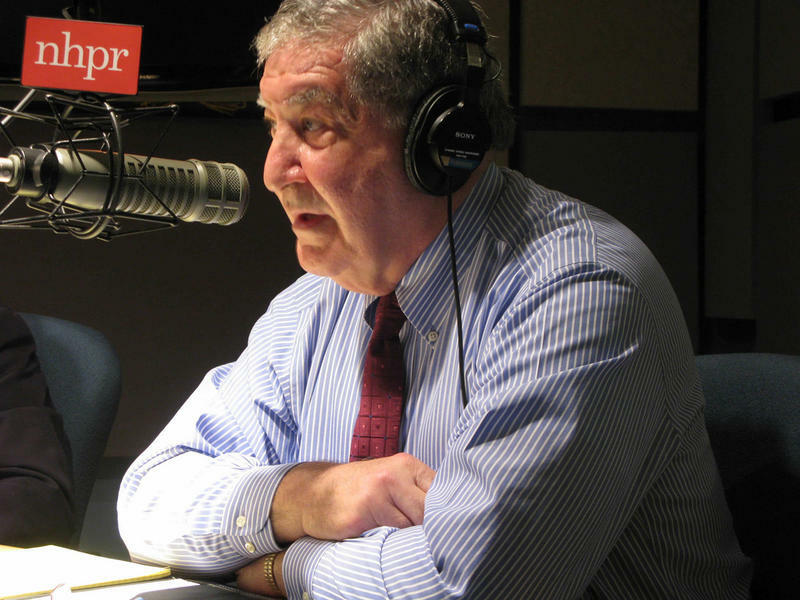 NHPR's initiative focused on the impact of politics and public policy on the Granite State. “The reality is, if you are looking at business taxation, our state does not compete very well with any state in the country, let alone the other New England states,” Juvet said. New Hampshire’s corporate tax structure includes both a Business Profits Tax and a Business Enterprise Tax, which have remained unchanged for more than a decade. Jeff McLynch, executive director of the New Hampshire Fiscal Policy Institute, says it makes no sense to lower them now. “There is no reason to think that cutting business taxes now is going to yield more business tax revenue in the future,” he said. McLynch and other critics of the tax cut proposal stress that businesses’ growth relies on more than just the corporate tax rate. According to a recent state-commissioned study, companies say New Hampshire's energy costs, workforce and infrastructure are their top concerns, above tax rates. There is also disagreement over the short-term impact of tax cuts on the state budget – especially since business taxes are a quarter of the state’s revenue stream. The state’s Department of Revenue Administration estimates the proposed cuts would mean a loss of $19.4 million in state tax receipts starting in 2017, with that figure rising to $47 million per year after they are fully phased in. But supporters of the cuts dismiss that math. Juvet says these estimates don't account for future economic growth and the resulting boost in total tax receipts. “When you factor in economic growth, I’m talking about historic economic growth that you could track over a number of years in our state, it is hard to see that there would be any negative impact to the budget, in terms of money coming into the budget,” he said. Under a proposal now being considered by the Legislature, New Hampshire's two business taxes rates would fall over the next four years. There's disagreement over whether those cuts would increase overall economic activity in the state. If the cut proposal is kept in the two-year spending plan, the state’s Business Profits Tax (BPT) starting in 2017 would fall .6 of a point to 7.9 percent over a three year period. The state’s Business Enterprise Tax (BET) would fall to .675 by 2019. The issue has divided political parties in the Legislature. There are also differing opinions among New Hampshire businesses. Mike Skelton, president of the Greater Manchester Chamber of Commerce, says most businesses support these tax breaks, but he says many fear the money businesses will save won't compensate for the potential loss to other parts of the state budget. “We also have to make sure that in balancing that and looking at those business tax reductions, that we aren’t losing critical services that we also rely on, like infrastructure funding or other programs that allow us to operate and be successful,” Skelton said. According to data from the Department of Revenue Administration, only a small portion of businesses would benefit from these cuts. A relatively small share of New Hampshire businesses pay any significant amount in business taxes. 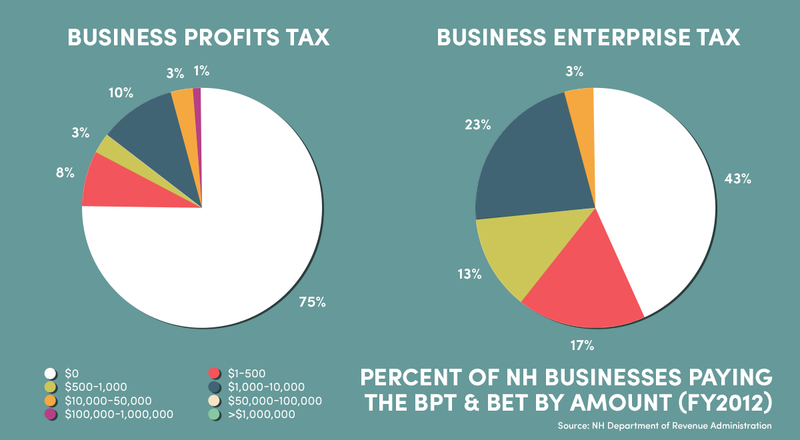 In 2012, three-quarters of New Hampshire businesses paid nothing towards the BPT. Nearly half paid nothing towards the BET. And a majority of BPT and BET revenue came from only one percent of businesses. As a result, many small business owners, such as Tom Strickland, owner of the IT company Sequoya Technologies Group in Peterborough, will see little to no savings from the proposed rate cuts. “When I look at this one, in the case of my own business, I figured out that this tax cut will save me about $150 a year. I might go out to dinner for $150, but I am not going to hire any new people. That is not even going to be on my radar in how I budget and how I plan for my business,” Strickland said. But the state’s largest companies, like BAE Systems and Velcro, which employ hundreds of people in New Hampshire, will benefit. In a statement, Velcro says the proposed rate cuts would help the company “better compete with textile manufactures in low-cost regions," as well as mitigate high energy costs. Economist Dennis Delay of the New Hampshire Center for Public Policy Studies says the research on whether cutting business taxes hurts or helps a state’s economy is a mixed bag. But he says there are positives. “Even if you couldn’t show any direct quantitative impact, it might be important simply because it sends a signal to the business community that New Hampshire is willing to cut taxes rather than raise taxes in order to spur economic development,” he said. That, said Val Zanchuk, president of the small manufacturing company Graphicast, Inc. in Jaffrey, is an important step to take. “Is it enough incentive to get people to start a company in the state, I’m not sure, but it is at least starting a trend that we are becoming more favorable to business,” he said. The proposed business tax cuts will likely be a major sticking point during final budget negotiations, which must wrap up before the start of the next fiscal cycle on July 1. And Gov. Maggie Hassan has made it clear that she’ll have a hard time supporting a spending plan that includes business tax reductions. After hours of debate and more than a dozen failed floor amendments, the Senate voted 14-10 along party lines Thursday to pass a $11.3 billion budget. The Senate proposal spends $99 million more than the House version but $66 million less than what the Governor proposed. A fact many Democrats were not shy to point out Thursday, including Sen. Lou D’Allesandro of Manchester. 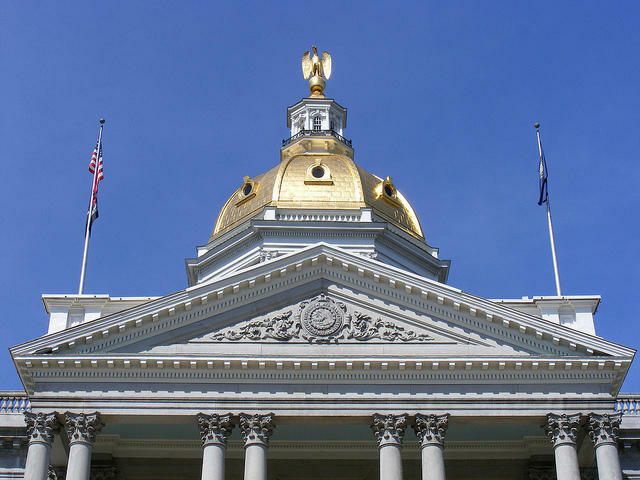 On The Political Front: Will Hassan Veto A GOP-Crafted State Budget? On the Political Front is a weekly conversation with NHPR's Senior Political Reporter Josh Rogers. This week, a look at the challenge facing lawmakers on coming to agreement on a new, two year state budget. 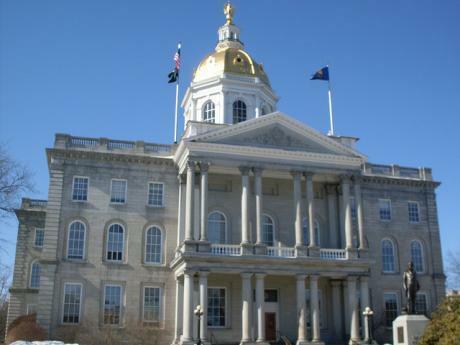 It’s getting to be that time of year in Concord – where House and Senate committees meet to negotiate agreements, or fail to negotiate agreements, on key issues. The state budget is, of the course the biggie. 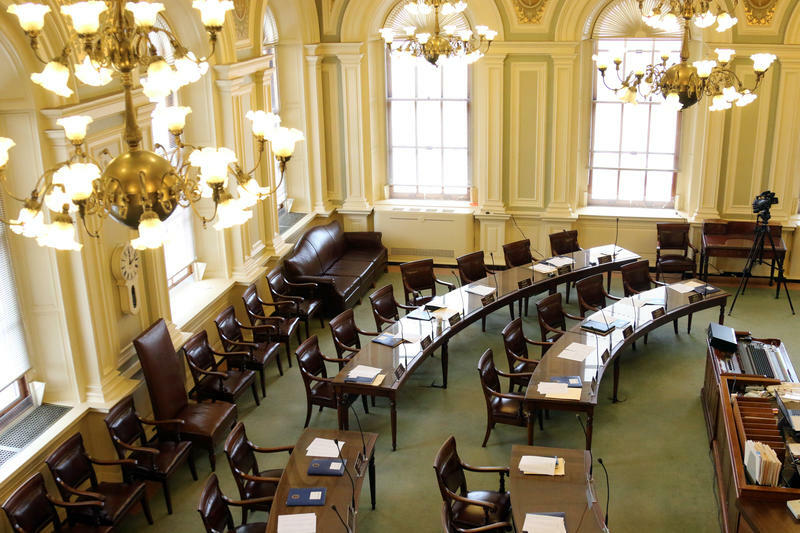 The New Hampshire Senate voted along party lines last week to pass the $11.3 billion dollar two-year state budget. Democrats tried repeatedly to restore funding for mental health, winter maintenance and the renewable energy fund—those efforts failed. Efforts to restore funding to substance abuse treatment, elderly care and developmental services were more successful, though funding levels did not reach what Governor Maggie Hassan had proposed. With lawmakers facing a June 30 deadline to pass a two-year state budget, Senate and House leaders say speculation about a government shutdown is unfounded. In a joint statement Wednesday, Senate President Chuck Morse and House Speaker Shawn Jasper said leaders in state government are doing everything in their power to make sure a budget is passed before the deadline.